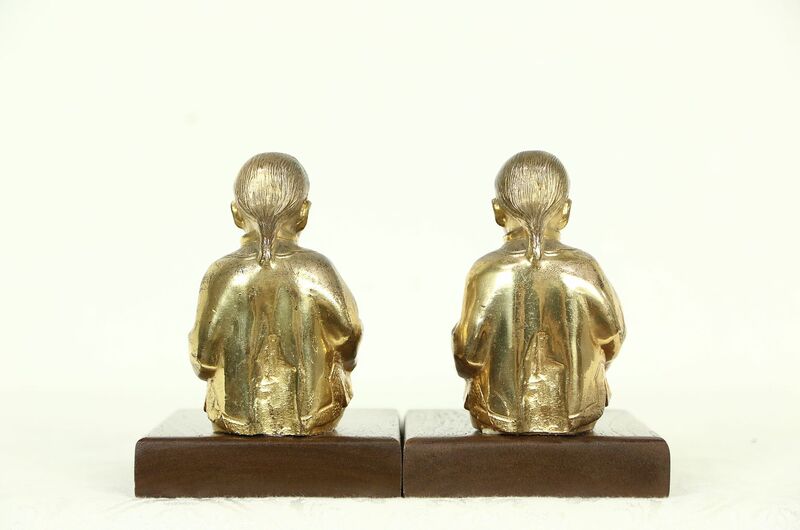 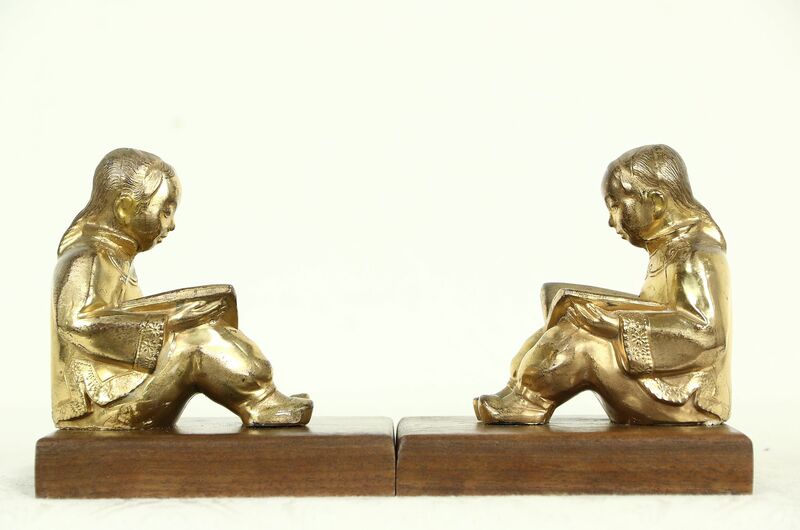 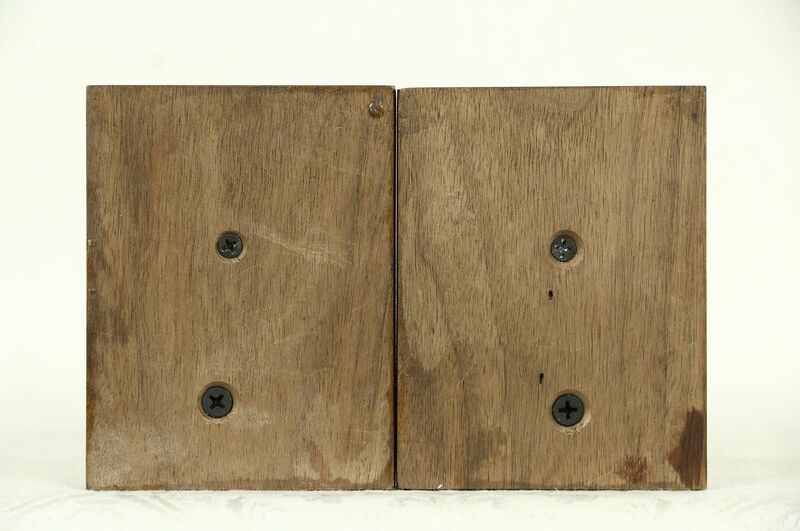 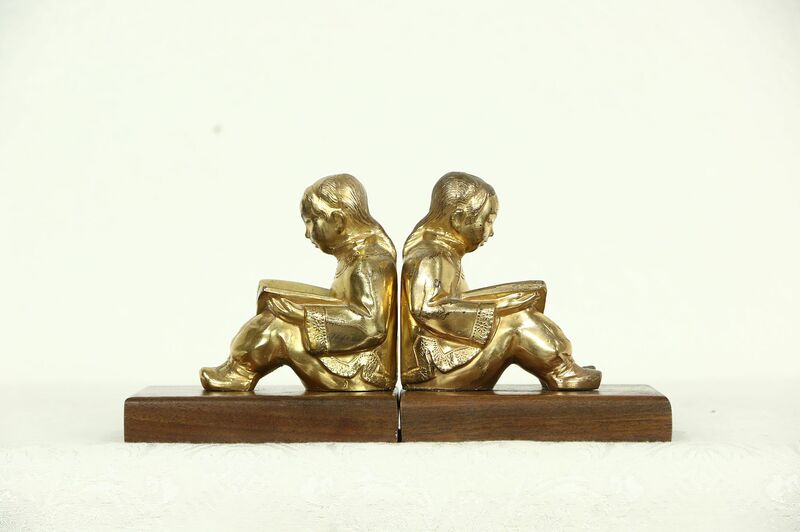 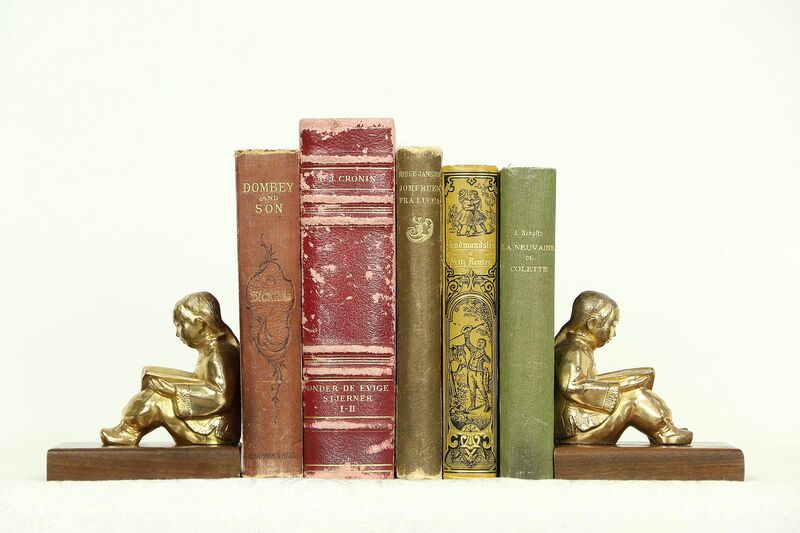 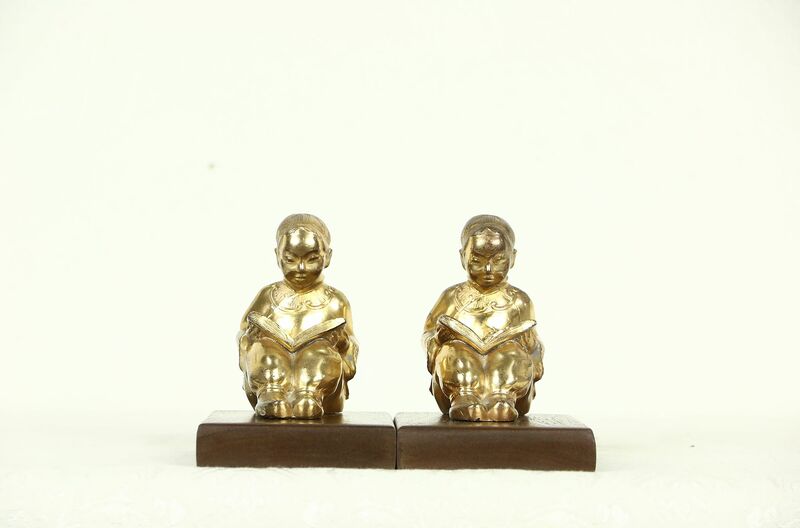 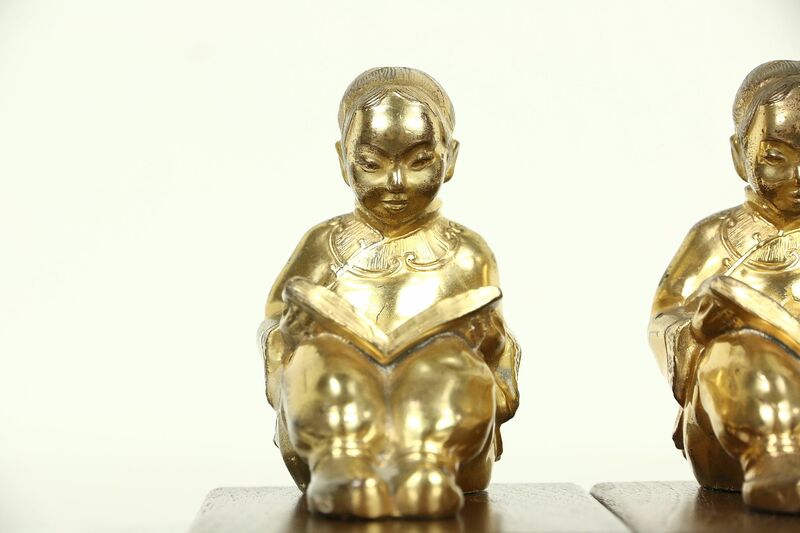 A pair of sculptures of a Chinese scholars or students are mounted as bookends on solid walnut bases from the 1940's. 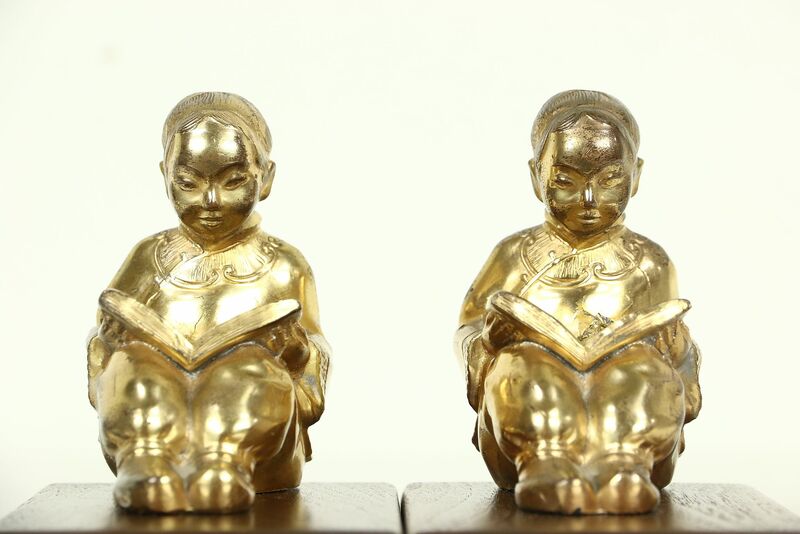 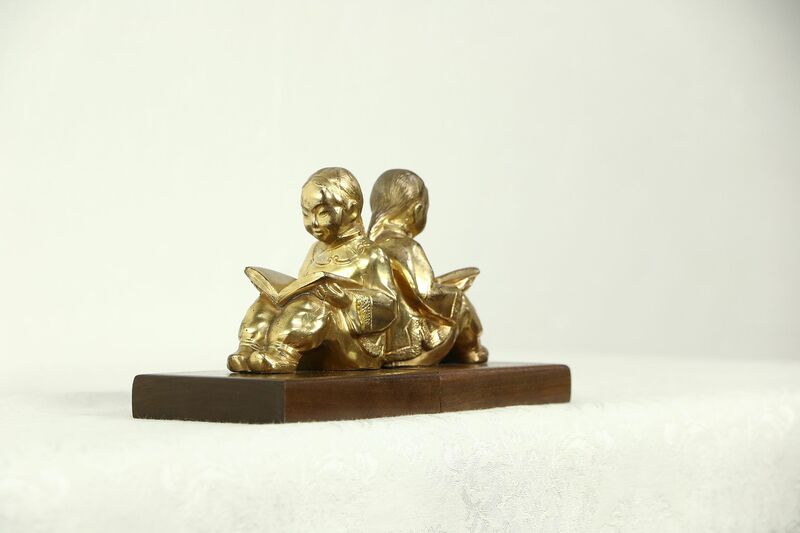 There is wear to the golden finish on these charming statues, see photos. 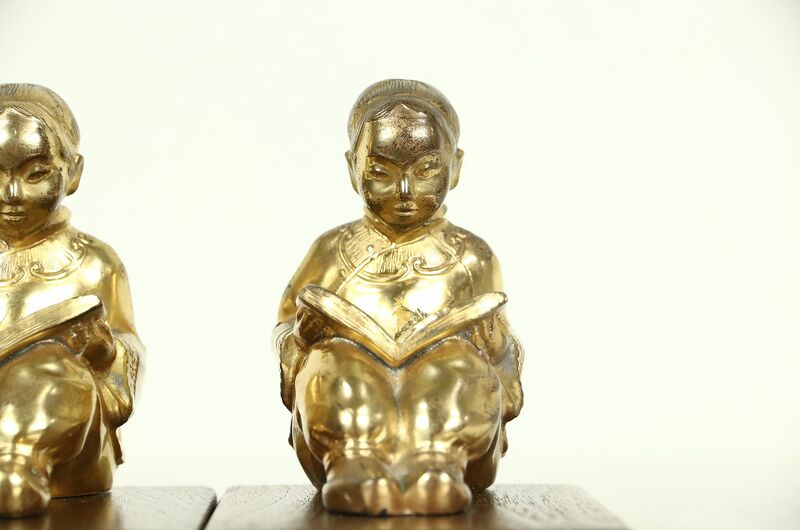 Size is 4 1/2" wide, 3 1/4" deep and 4 1/2" tall.